The provisional results are in and they are very interesting. 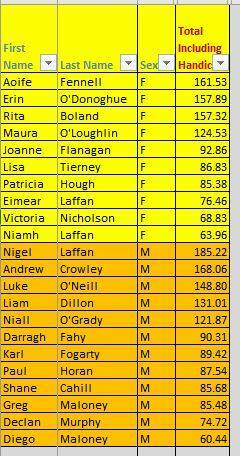 Well done everyone who raced in Nenagh last weekend! 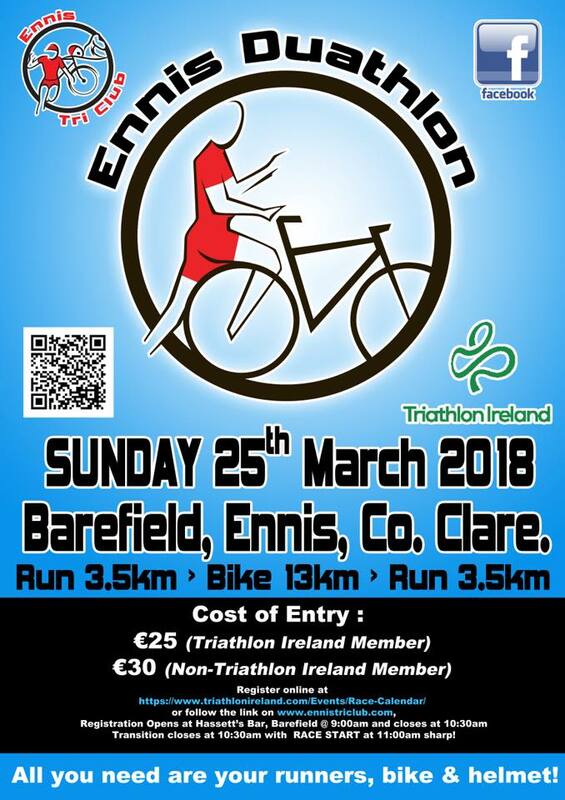 Those that came out to marshall @ Banner Duathlon were justly rewarded with their bonus points-these could prove crucial in later stages of the league! The handicaps are based on last years results- that's all you need to know! 🙂 Next race is Joey Hannan this weekend... it could all change again with some new club members getting their tri season started! **Just a reminder we are running a senior&handicap league this year. If you win the senior league you can't win the handicapped league. The results are provisional until the league finishes and are quality checked 🙂 ! If I missed you let me know- bonuses were based off a marshalling list. Leaders in the league & handicapped league change marginally, with the leads reducing in both leagues. 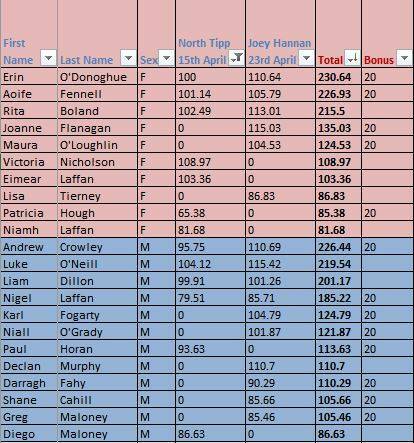 We also have some more new entrants into the league after Joey Hannan Triathlon- hopefully they can cause a few upsets after Up the Creek. 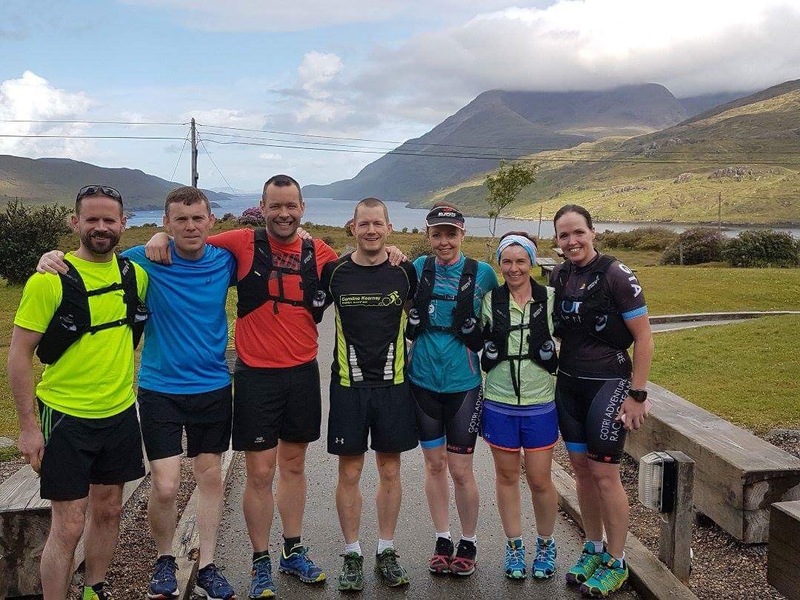 Congrats to our new to tri Maura O'Loughlin & Niall O'Grady on their first triathlon and to everyone who took part as it was a great day for the club.